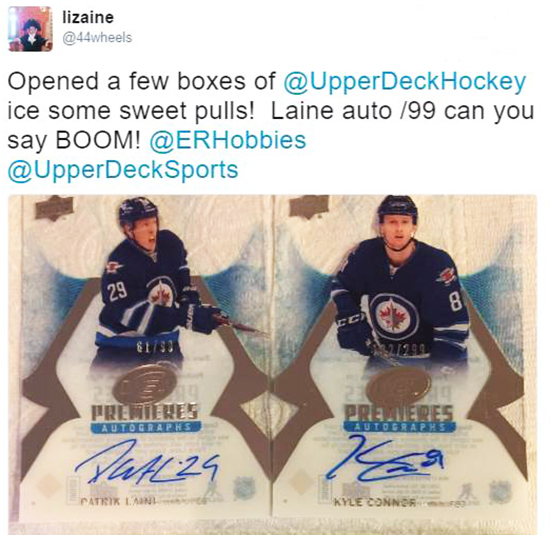 Collectors and Dealers Agree; 2016-17 Upper Deck NHL® ICE is Straight FIRE! 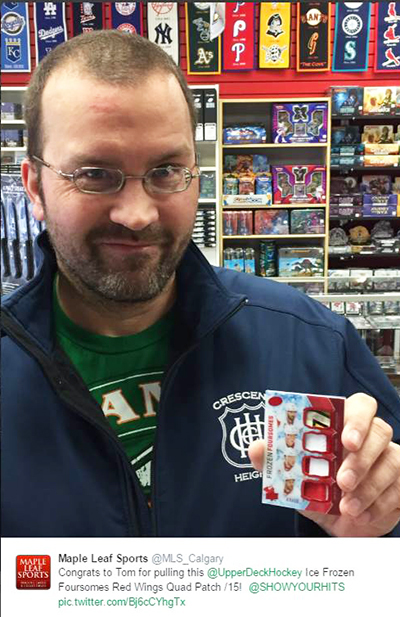 Each spring, hockey collectors get excited about the NHL® Stanley Cup Playoffs and the release of Upper Deck NHL® ICE. 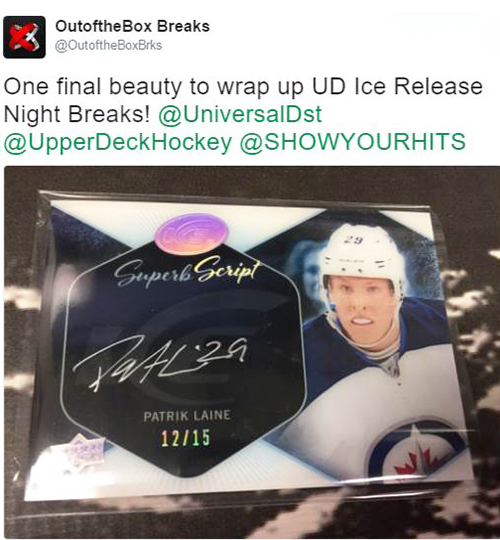 Upper Deck was able to schedule the release of the fan favorite product on the same day as the start of the playoffs so many a fan grabbed a box or two on the way home to watch the games. 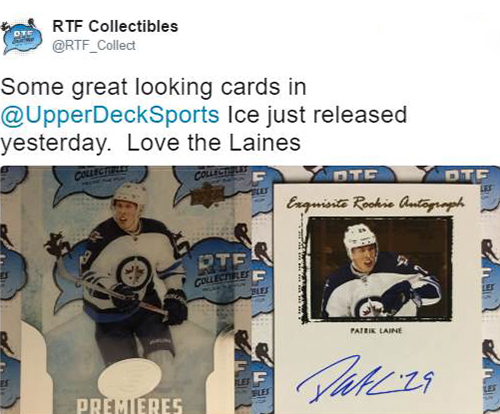 This year’s release has collectors and dealers signing it’s praises as you can see from these Twitter posts. 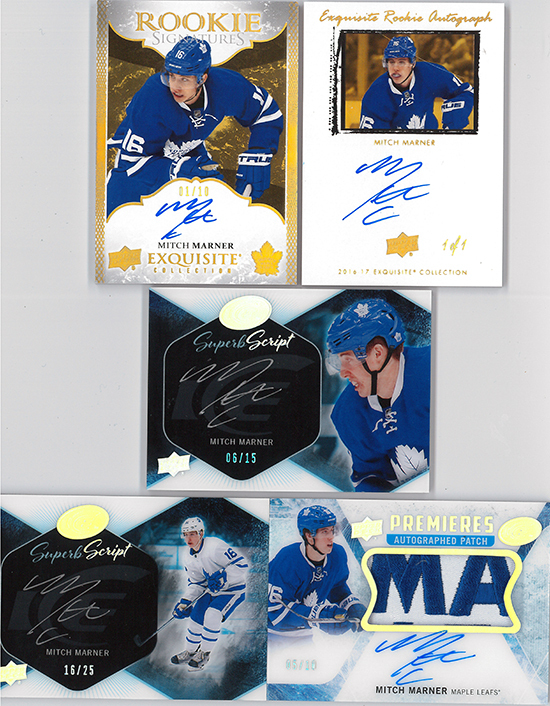 Most will notice that Mitch Marner, one of the most highly touted prospects this season, has redemption exchange cards in the product. 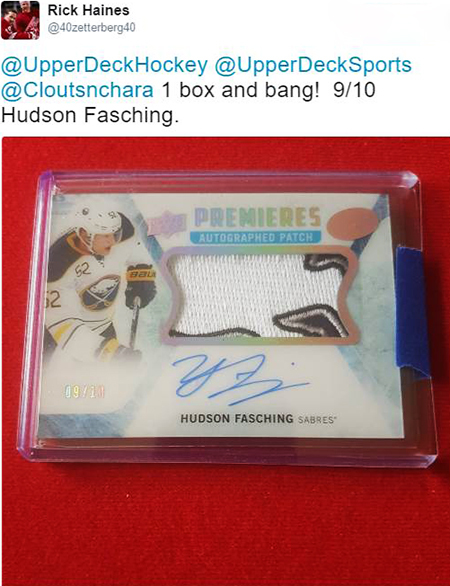 Good news, Mitch was able to get these signed prior to the start of the Toronto’s playoff run and we hope to have them in and ready to ship shortly! 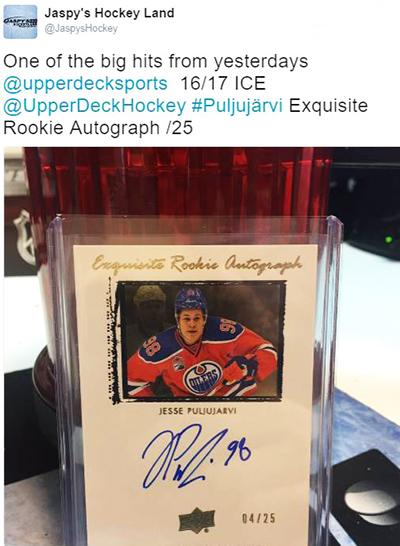 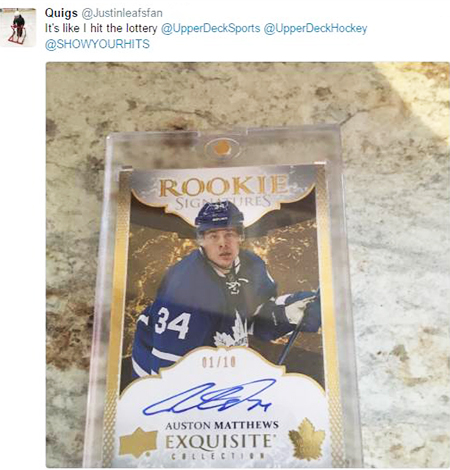 Fans definitely appreciate the additional value the Upper Deck Exquisite overlay program adds to the product in terms of huge hits as well! 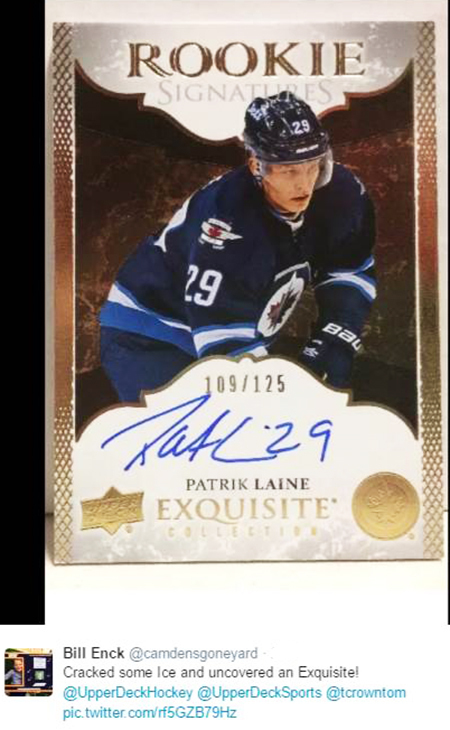 New to the product this year are the Sub-Zero insert cards and like this collector shares, you really need to see these in person to appreciate their beauty as there some light f/x graphics implemented into the design that really make these cards special. 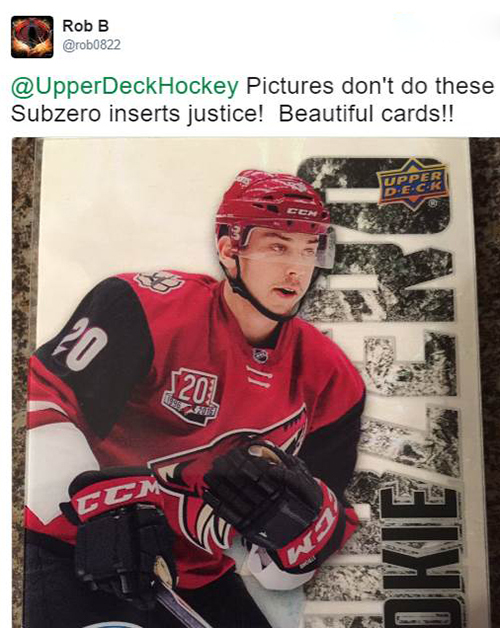 Cumulatively these high-series Sub-Zero cards fall 1:288 packs. 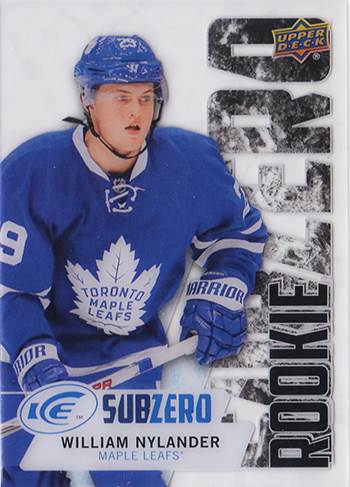 This is the regular Sub-Zero Rookie version of William Nylander. 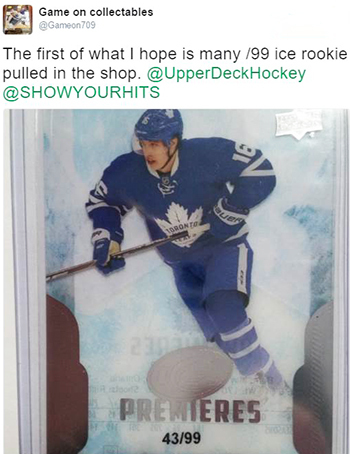 This is the high-series “Easter Egg” version of Nylander’s card with a different photo and numbered SZ-98. 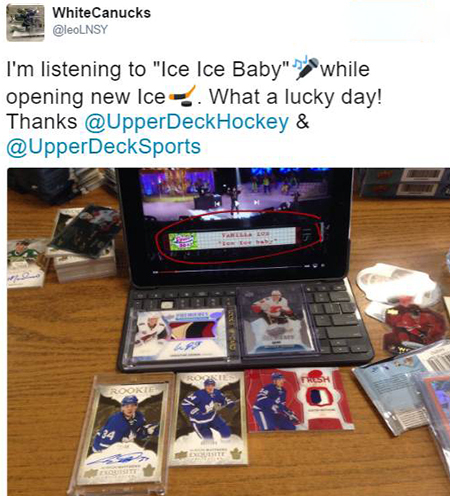 We hope everyone continues to enjoy the product! 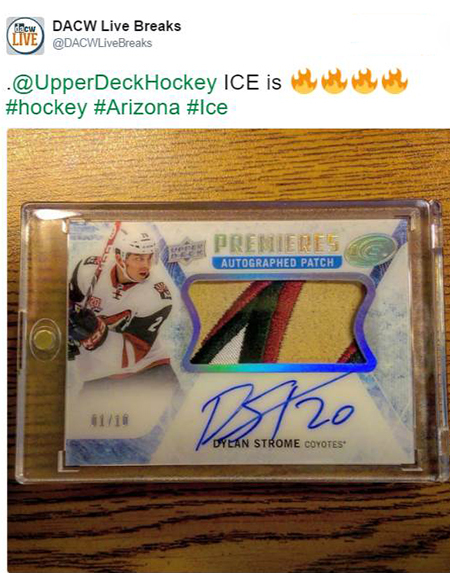 Let us know in the comment section below how you do! 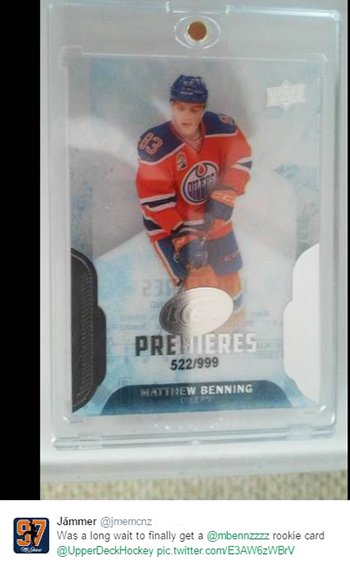 I personally believe that this years release blows away prior years!